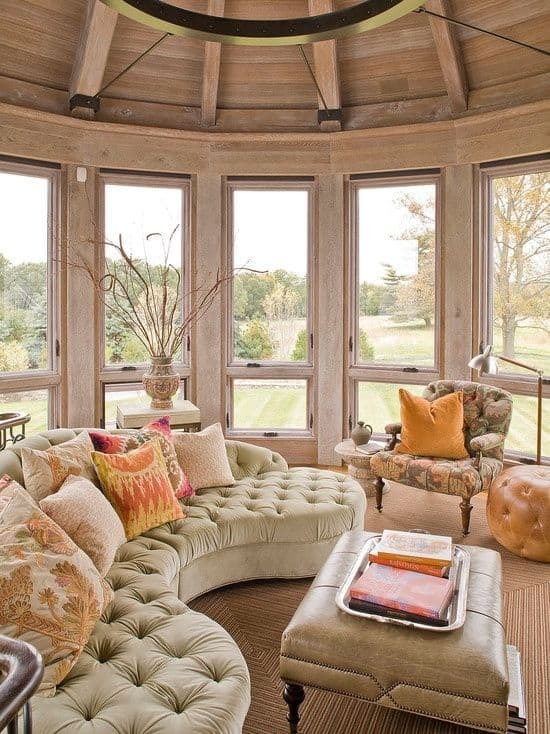 A sun-room can serve many purposes depending on what part of the world you reside in but it is mainly to enjoy the elements of nature without being subjected to them. 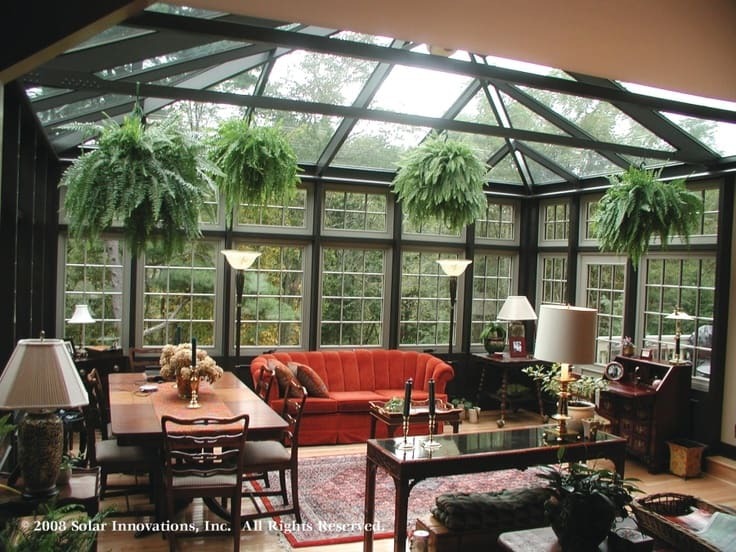 A sun-room can be integrated into one’s home or built as a separate entity to use as a solarium while a conservatory would be more appropriate for a greenhouse. 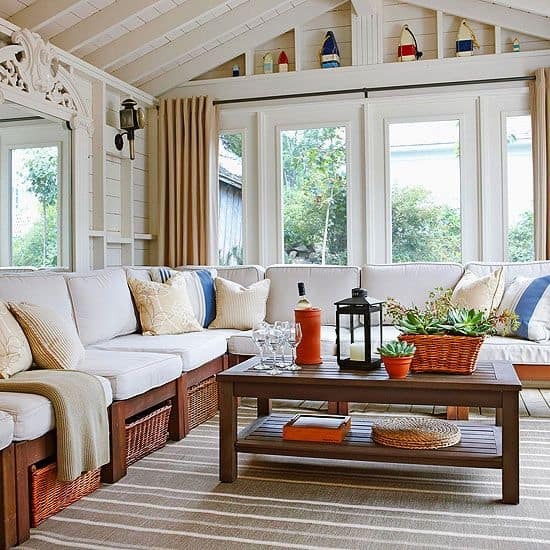 It is quite easy to mistake the difference between a sun-room and a conservatory but it should be well noted that their structure differs as much as their purposes. 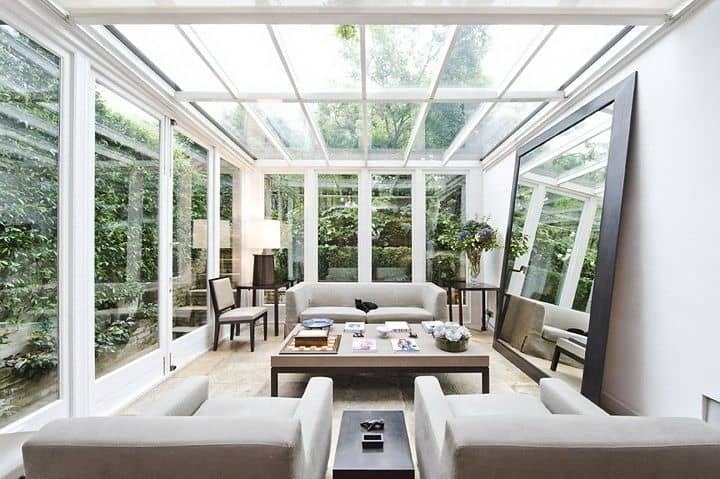 A sun-room is built with a solid roof and glass walls while a conservatory has both glass ceiling and walls. 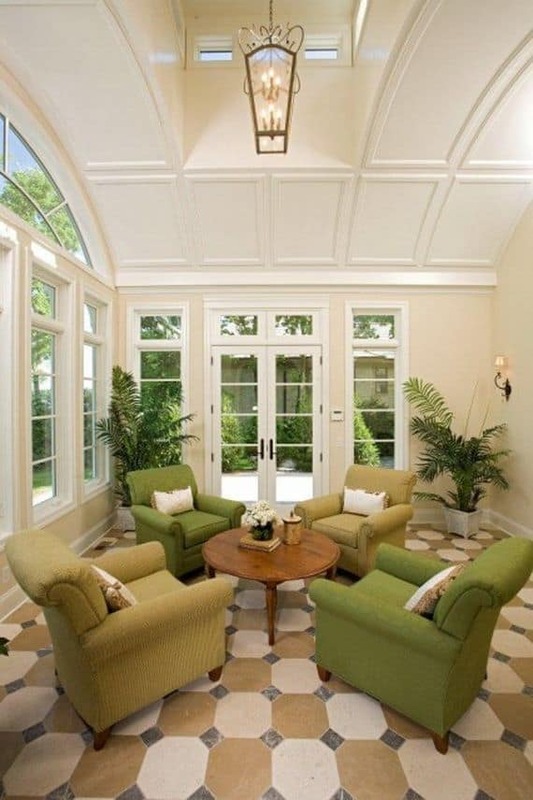 Conservatories seem to be more popular in the UK while sun-rooms are appreciated in the US. 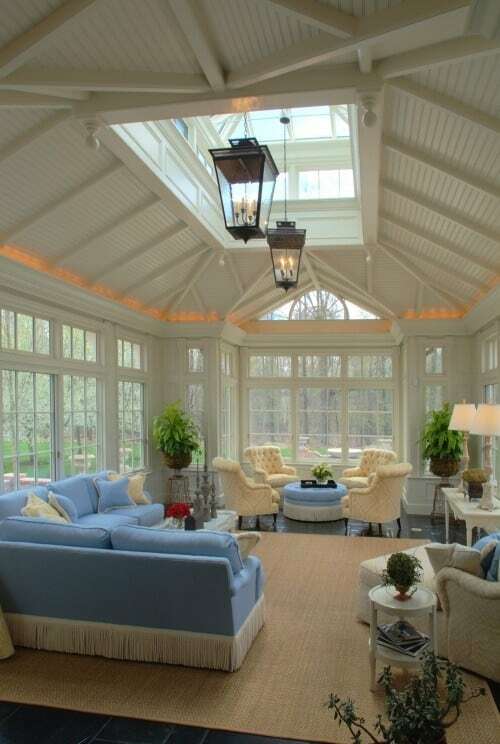 A sun-room can also be defined as an enclosed porch with modern, stylish or simple interior decorating and furnishings. 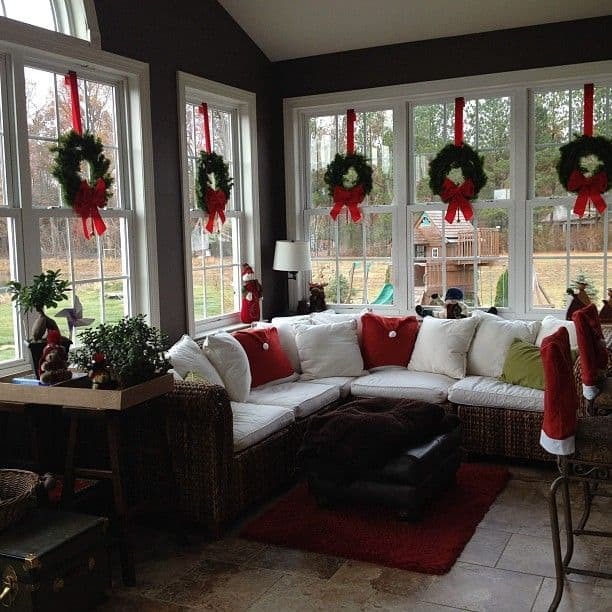 While the same can be said about a conservatory, unlike in a sun-room plants may thrive somewhat better in a conservatory with the more sunlight exposure, they are proven even better for the winter season. When building a sun-room, consideration must be taken as to the angle in which the sun will be entering, rising and setting. 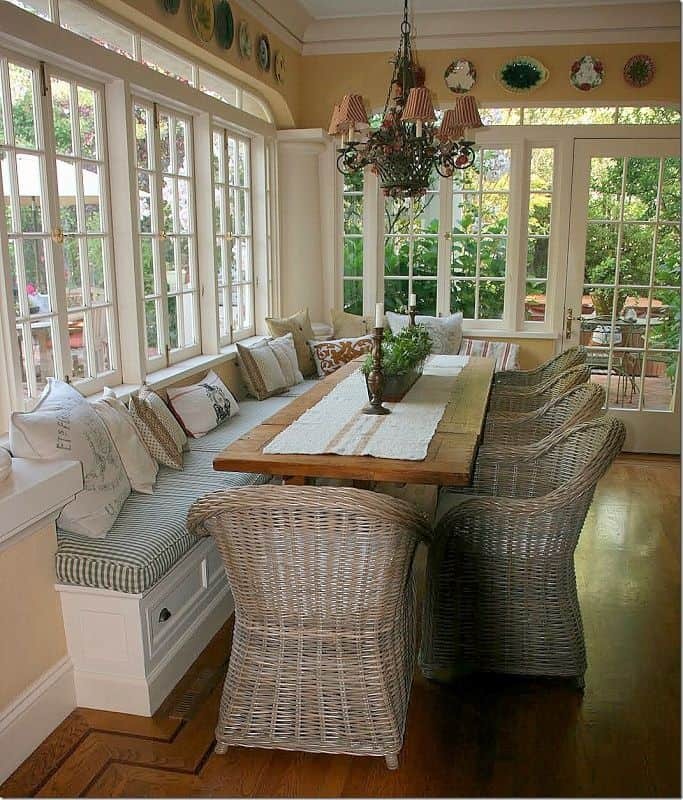 Typically, because a sun-room can also be used as a breakfast or dinner area so think carefully where you set up your structure. If your preference is for conservatories in order to be surrounded by greenery, then consider installing a concrete flooring or one that can withstand both the ultraviolet rays and moisture from the plants. 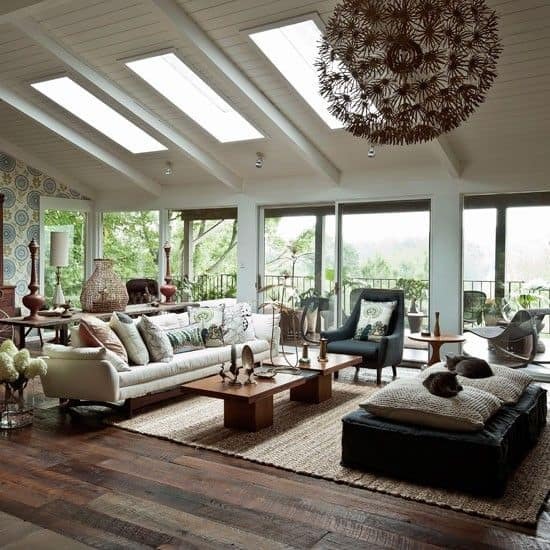 Both a sun-room and conservatory should be designed smartly and must be well thought out and planned before fully established to avoid complications in the future. 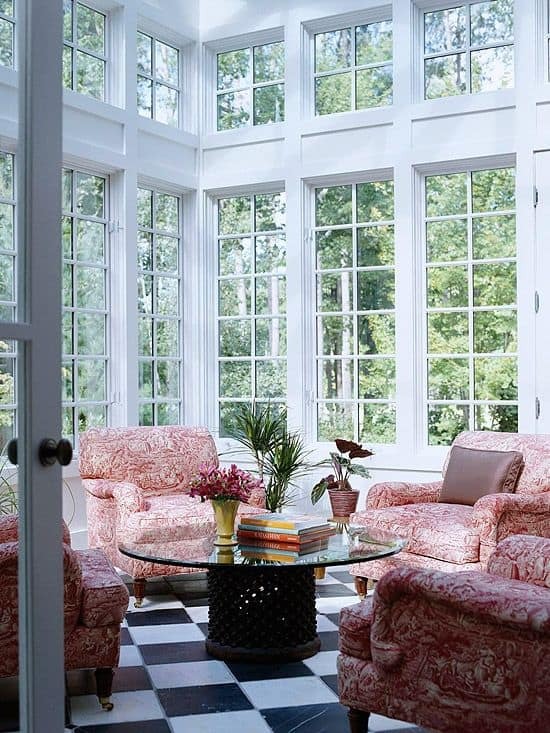 While ensuring the beautification of one’s sun-porch interior is necessary, finding furniture that can withstand exposure to sunlight over a long duration of time, is important. 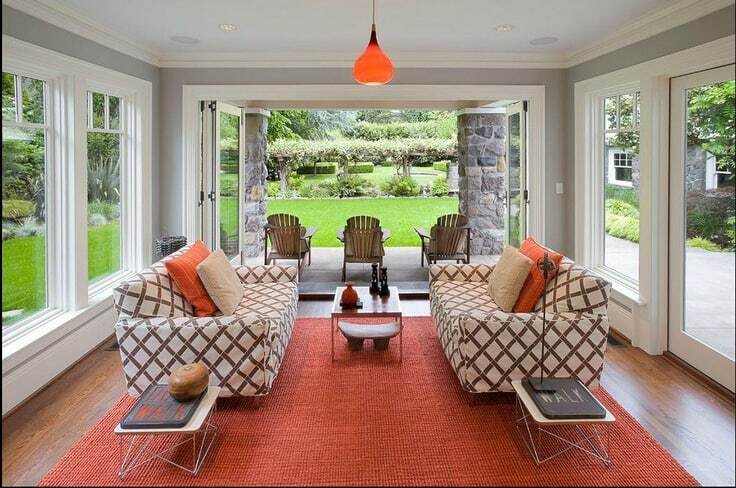 Choose bright colors to start with, but avoid seating that can easily succumb to moisture and mold. 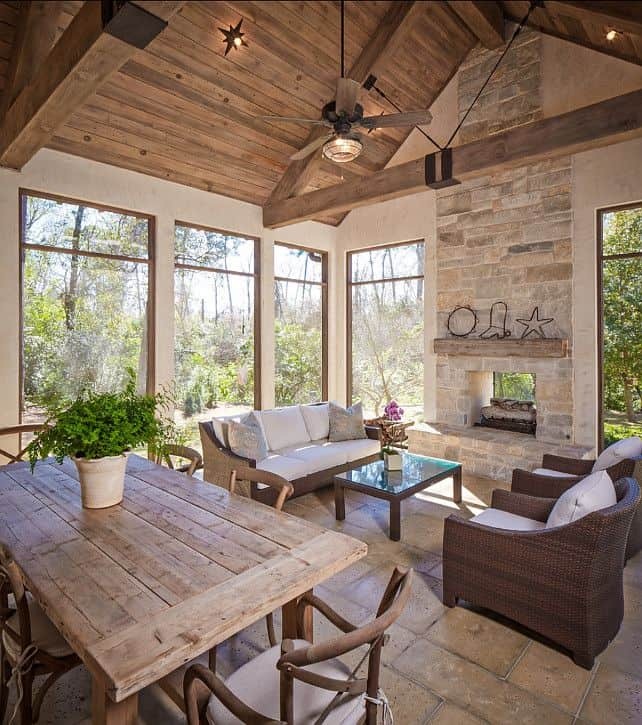 Enjoy your indoor patio by hanging matching blinds and installing suitable lighting fixtures. 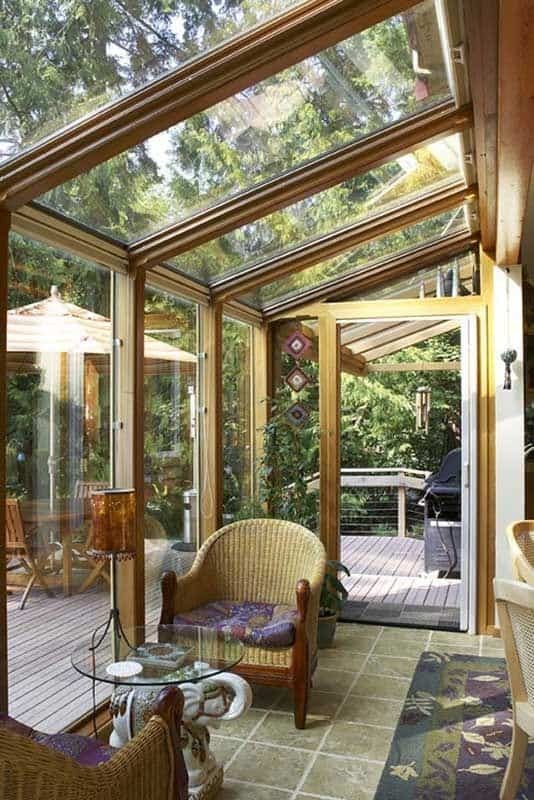 There are businesses that specialize not only in the construction of sun-rooms but also in the selling of such relevant materials and educating their customers on the designing a conservatory. Duly note that the same sunlight that can keep you warm in winter may be unappreciated in the summer, so consider installing adequate ventilation or a cooling system. 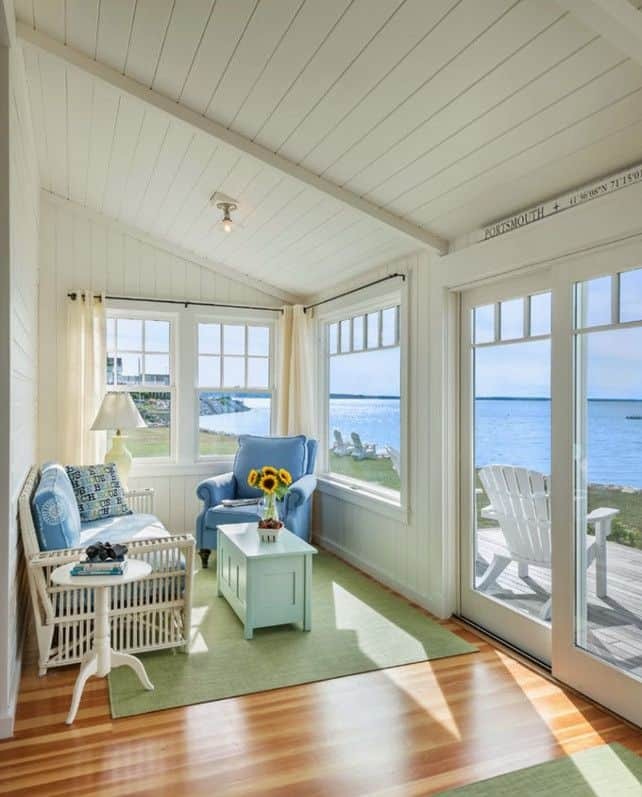 If you don’t favor the use of shades or curtains and your sun-room/conservatory is surrounded by huge trees, then provided they are in the right position, you and your family can benefit from its shade during the long hot summer. 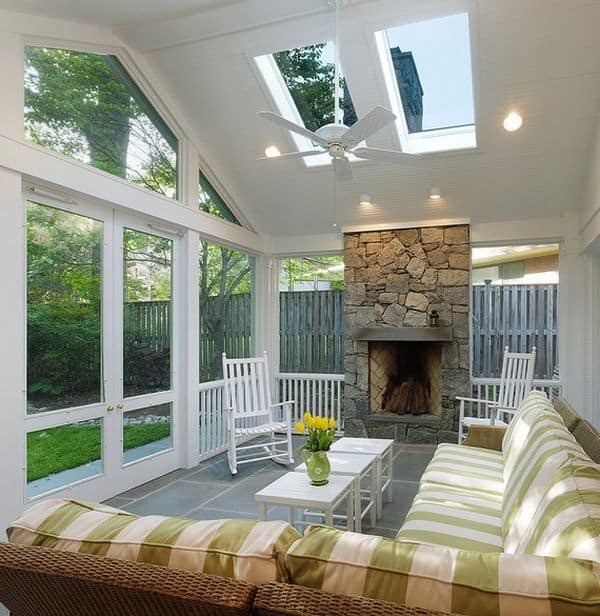 Whether you decide to erect a sun-room or conservatory, choose to build it with durability and economy, then design it to suit your comfort and personal style. 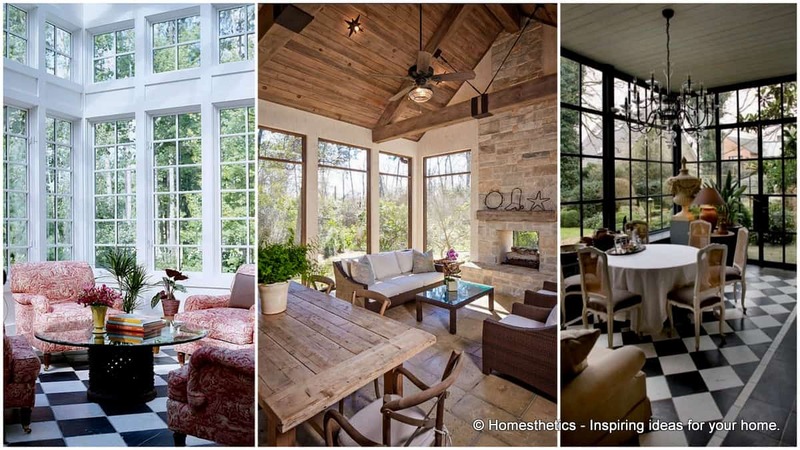 To inspire you, ponder on these 19 ways to design the interior of a sun-room/conservatory. 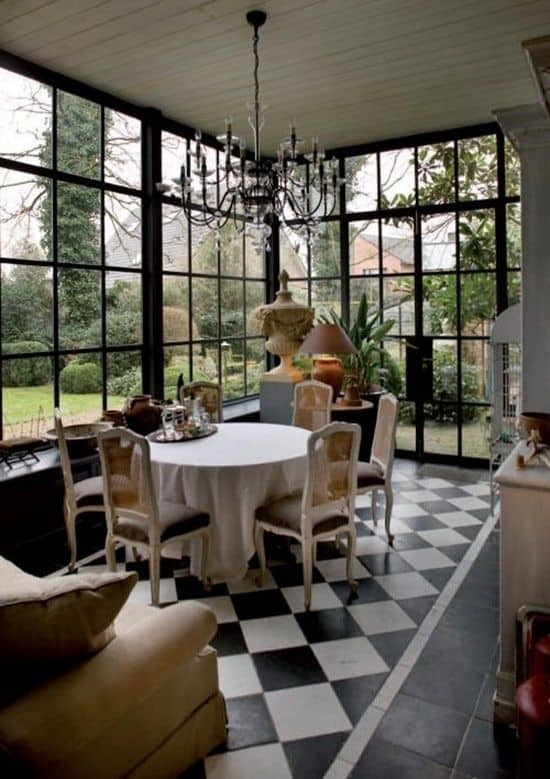 Both a sun-room and a conservatory would be appreciated in most countries with either climate, or deemed by some as a glorified porch, nevertheless, they both serve their own purposes. Of the two, consider which one would be most suitable to your need.